In the 35th Inter School Debate in English organised by the Society of St. 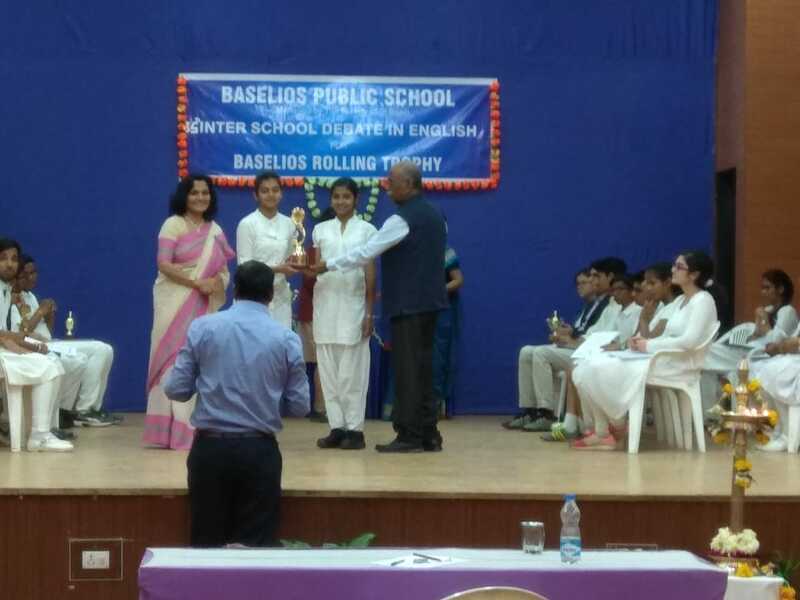 Basil, Baroda , Ojas Mehta (VII) bagged the second prize in Junior Debate. New Era Sr. Sec. School also bagged the overall Second Position. 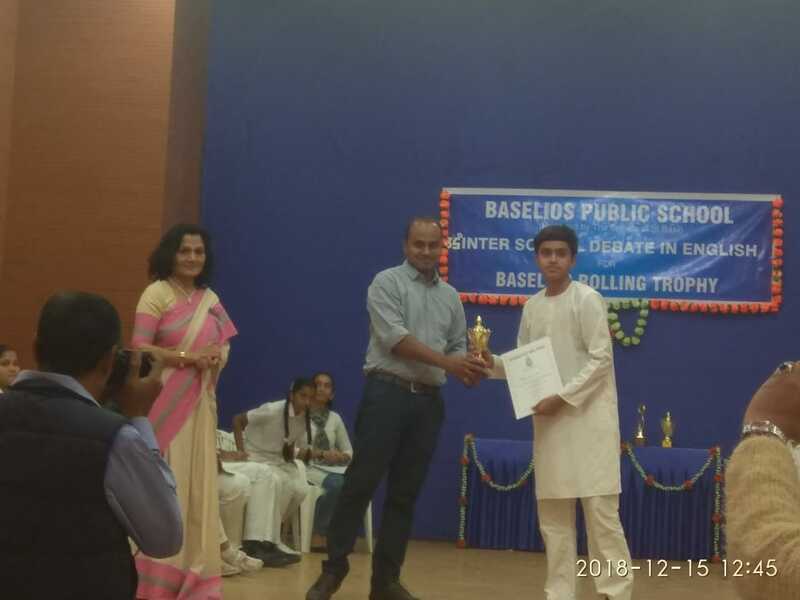 Ojas Mehta (VII) - Receiving Second Prize in Jr. Level debate competition.